Readers Question: One way to finance government spending is to print money, but printing more money leads to inflation. How economic theory justify this? If Money Supply increases faster than real output then inflation will occur. The Quantity Theory of Money seeks to establish this connection with the formula MV=PY. Rather than delving deep into the quantity theory of money. Let�s think about a simple example. Suppose the economy produces a 1,000 units of output. Suppose then that the government print an extra �5,000 notes creating a total money supply of �15,000; but, the output of the economy stays at 1,000 units. Effectively, people have more cash, but, the number of goods is the same. Because people have more cash, they are willing to spend more to buy the goods in the economy. 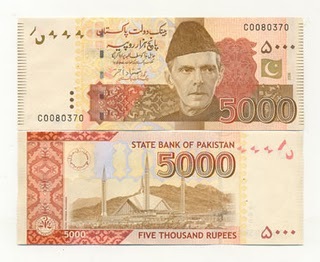 The price of the 1,000 units will increase to Rs 15 (15,000/1000). The price has increased, but, the quantity of output stays the same. People are not better off, and the value of money has decreased; e.g. A Rs 10 note buys less goods than previously. However, it provides a rough explanation why printing money reduces the value of money causing prices to increase.